Fits the 2006-2008 Ram 1500 with 5 Lug Wheels. Ball joint seems to be built very well. starstarstarstarstar" Great product, fit perfectly! " Easy to install with a standard bearing/bushing install and remover kit. Did not need any special tools. Part been installed for a couple of months and have had no problems. 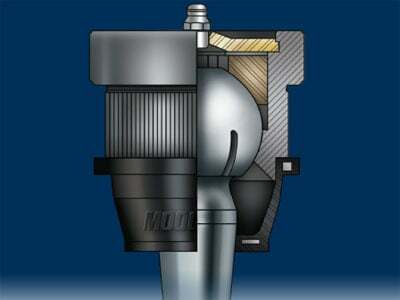 What is the difference between the K7411 vs the K7467 on the 2008 dodge ram 1500? Part number K7411 is for the 5 lug wheels and part number K7467 is for the 8 lug wheels. Do you sell the zerk fittings separately from part number k7411? No, Moog does not sell the zerk fittings separately from their parts. Will part number k7411 fit my 2004 Dodge Ram 1500 2WD? Yes, part number k7411 will fit the 2004 Dodge Ram 1500 2WD. Did the moog-k7411 have a new design where it no longer needs a boot? Will moog-k7411 fit my 2006 Dodge Ram? 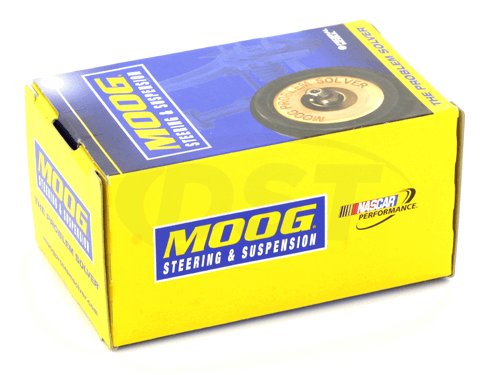 Yes, Part Number moog-k7411 will fit your 2006 Dodge Ram truck. What grease should I use for part number moog-k7411 and moog-rk7424? Moog suggest that you should use a 100% synthetic grease on your Moog parts. Moog does not have a brand they suggest, just that you should use a 100% synthetic grease on their greaseable parts. What is the Thread size on the moog-k7411? The moog-k7411 has a Stud Thread of m16x1.5. Is the k7411 the proper fitment for a 2005 dodge ram 1500 st 4x4 with torsion bar leveling? Yes, part number k7411 will fit the 2005 dodge ram 1500 st 4x4. Do you sell just the dust boot for k7411? No Moog does not sell just the dust boot.